The Accra Motor Court on Wednesday fined seven recalcitrant drivers, arrested by the Madina Divisional MTTU Police command for various traffic offences. 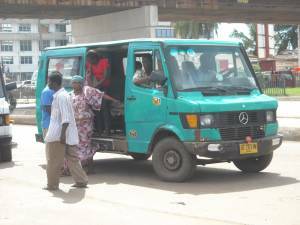 Speaking to Ghana News Agency, the District Police Commander, Superintendent of Police (SOP) Mr Joseph Owusu-Bempah said these drivers were arrested for dangerous driving , causing danger to other road users, causing road obstruction and unauthorised stopping within his jurisdiction. Speaking on the last quarter accident report for 2013, he said there were 53 cases reported and out of the number, 34 were private vehicles, 46 commercial vehicles including 8 motorbikes. There were four fatal cases reported during the last quarter. District Commander Owusu-Bempah indicated that 14 persons were knocked down by vehicles with six dead, while 24 persons were injured. In an interview with GNA, the Madina Divisional MTTU Station Officer, Chief Inspector Comfort Forkah said most of these accidents were as a result of impatience on the part of the drivers.and wrong selections of lanes. Chief Inspector Forkah added that drivers should desist from using the wrong lanes and continue to blame it on the road is still under construction. She urged drivers to be patient, be alert and look out for other road users while driving.